Substance abuse among attorneys is much higher than the general public realizes, and there are a number of reasons why lawyers struggling with addiction are so prevalent. While approximately 10% of the general population of the USA will experience substance abuse issues, this rate jumps up to between 15% and 18% among attorneys. Part of this substantial difference is attributed to the high levels of stress that lawyers have, and another factor involved is that most attorneys do not undergo employment drug screening because they have their own practice. This creates a situation where the attorney may be able to hide their addiction successfully for much longer. Suicide and depression are very common symptoms for lawyers struggling with addiction, and suicide is rated the third highest cause of death for lawyers. This statistic is staggering, and one of the reasons that suicide is chosen is because the attorney may not feel there is a way out of the addiction without having their lives and careers ruined. A recent survey showed that between 9% and 11% of lawyers consider suicide each month, and that more than half of these professionals would choose a different career if given the opportunity. Substance abuse among attorneys is a serious problem, but there is help and treatment available. One reason that lawyers struggling with addiction may not seek help is due to fear that their license or ability to practice law may be suspended or revoked, and another is that most treatment facilities for substance abuse among attorneys are not up to the standards expected by these professionals. 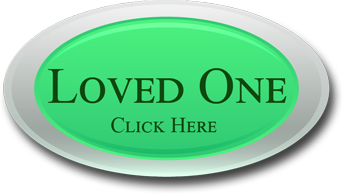 Most facilities do not offer extensive one on one counseling, or have state of the art physical fitness facilities to speed up the recovery process. Instead lower cost facilities may only offer a small staff, little personal attention and one on one treatment, and few opportunities for physical activity. If you are one of the many lawyers struggling with addiction then you want a treatment center that specializes in discreet services in a luxurious setting, and this is what you will receive at Valiant Recovery. Personal attention and individual counseling are crucial in the recovery process, and so is an atmosphere that is relaxing and inviting. Substance abuse among attorneys is a big problem, one that can affect your ability to practice. Luxurious treatment centers for lawyers struggling with addiction offer facilities that are state of the art, with treatments that have been shown to be highly effective. The higher cost of these centers means more staff and specialists available for treatment that is highly effective, as well as luxury accommodations and food choices. Is There Help For Attorneys Struggling With Addiction? The number of attorneys struggling with addiction is astounding. A conservative estimate is that fifteen percent of all practicing attorneys struggle with a substance abuse problem. Attorneys struggling with addiction face special needs and concerns that most individuals do not have, and specialized treatment is required for an effective and permanent recovery. Professionals have higher standards concerning privacy, luxurious accommodations, dining options, and personal attention, and any treatment program for attorneys struggling with addiction must address these factors to be successful. Most rehab centers do not have the budget, the professional staff, the physical fitness facilities, or the customized treatment plan to permanently eliminate your substance abuse issues. For attorneys struggling with addiction admitting substance abuse may cause fears of not being able to practice, or having their business reputation tarnished. If you are worried about this then you should seek treatment right away, at an upscale facility like Valiant Recovery where a substance abuse program for professionals can help you get your life back. If you are one of the thousands of attorneys struggling with addiction there is a treatment program that works, if you are willing to pay more than what the typical rehab charges. Effective treatment is more costly, but for attorneys struggling with addiction the cost is far cheaper than paying for a treatment that does not work. If you are one of the attorneys struggling with addiction there may be many factors involved in your decision to seek treatment. The loss of your law license, business reputation, and career, as well as the harmful effects the addiction has on your personal life and family, are all reasons you may choose to get help. A program designed for professionals, including attorneys struggling with addiction, is designed to help you cope with the unique stresses and other factors that you deal with daily. Attorneys struggling with addiction require individualized treatment plans, which factor in the professional responsibilities and high stress occupation involved. A typical rehab can not efficiently help these professionals heal and recover completely, because of a lack of funds and a minimum of treatment options in addition to the lack of privacy and dignity. At Valiant Recovery we know which treatment methods are the most effective in treating attorneys struggling with addiction, and how to help you reach a permanent recovery so that you do not relapse after you finish the program. 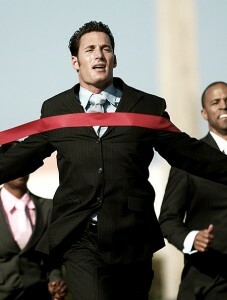 To be successful in life and your career you must be sober, and we can help you reach this goal. Attorneys struggling with addiction is a problem that is not discussed much, but the fact is that many lawyers have this problem. The high stress that a lawyer deals with each day can be extremely wearing, and often the addiction starts with the intent to unwind or relax. A survey showed that as many as half of all those in the legal profession were not happy, and would choose different careers if this was an option. Attorneys struggling with addiction may find it easier to hide this fact, because they usually work for themselves and are rarely required to undergo an employment drug screen. Often the addiction may be well hidden for months or even longer, without anyone being any wiser. Attorneys struggling with addiction also typically have more resources than the usual addict, and this means that the problem can become severe without any financial red flags being raised. One statistic shows that attorneys struggling with addiction occurs at twice the rate that the general public struggles. Until recently this was a problem that was largely ignored, but many legal organizations and bar associations have started to address attorneys struggling with addiction. It is a proven fact that an addiction makes a lawyer much more likely to be the subject of malpractice or professional misconduct. While attorneys struggling with addiction is not a new problem it is one that is finally getting some much needed attention. If you are one of the many attorneys struggling with addiction there is effective and confidential help available at Valiant Recovery. Statistics show that lawyers are difficult to treat, but if the program used is designed for the specific considerations attorneys have then the results will be much more successful. 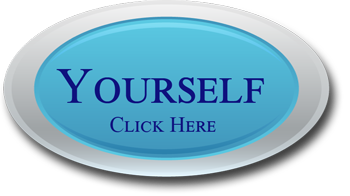 Individual one on one counseling is one of the treatment methods that has shown exceptional results for addictions, but this therapy is expensive. 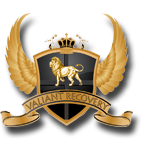 Valiant Recovery is one of the few luxury rehabs that includes this method, and this mean a complete and permanent recovery. Attorneys struggling with addiction can not afford to go through treatment and then relapse in the future, so the treatment must work the first time around. Attorneys struggling with addiction may find it difficult to ask for help at first, both because of concerns about their career and income and also because of ego issues. At Valiant Recovery we have designed a special program specifically for attorneys struggling with addiction, as well as other professionals who share the same concerns and high stress jobs. We can help you get back on track, and stay there for life.